Dr. Praderio is a board certified OBGYN practicing Gynecology at Corpus Christi Spohn South and the South Texas Surgical Hospital. She specializes in minimally invasive gynecological procedures including laparoscopy, hysteroscopy and total laparoscopic hysterectomies. Dr. Praderio has a special interest in perimenopause and menopause and now offers bio-identical hormone pellet replacement therapy. Having served the Corpus community for more than 7 years, she continues to focus on providing the best Gynecological care in Corpus Christi. 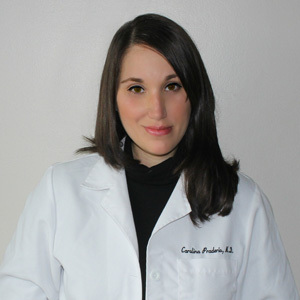 Dr. Praderio is a native of Argentina and has lived in the US since her early childhood. She is fluent in both English and Spanish and looks forward to serving the bilingual Corpus Christi community. She and her husband moved to Corpus Christi in 2010 to be closer to family. In her free time, she loves to enjoy time at the beach with her husband and their 6 year old son. Dr. Praderio received her medical degree from Texas Tech University Health Sciences Center School of Medicine and continued on to complete her residency in Obstetrics and Gynecology. Please share your experience with Dr. Praderio on Facebook.